What gave you the idea for starting Old Hat Records? Well, part of it is just being a North Carolina native and having a real interest in music from my home turf. I live in Raleigh these days. 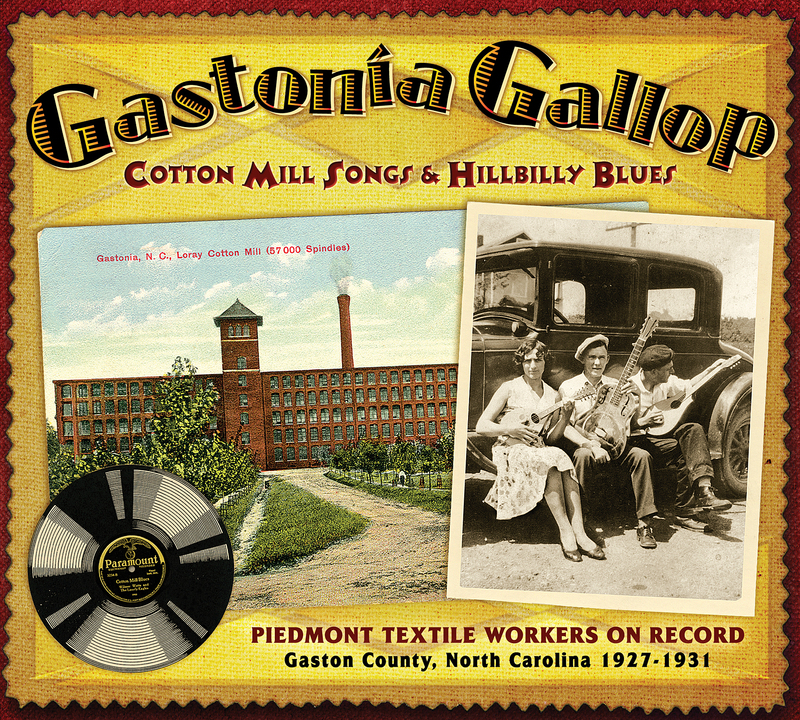 A few years ago I decided that since no other label that I knew of had systematically reissued pre-war music of North Carolina that I would. This is such a musically rich area in terms of both blues and country music. There have been a lot of Charlie Poole reissues and there have been releases that had a lot of North Carolina musicians on them, but as far as a thoughtful program of reissues from North Carolina, there wasn’t really anything. The name Old Hat is left over from an antiques business I had in the 1990s. If I’d realized at the time that the business would evolve into an ongoing record label, I’d have picked a better name! My first CD was called Music from the Lost Provincesand it featured records made between 1927 and 1931 by players from Ashe County. There were songs from guys like Ephraim Woodie and The Henpecked Husbands, Frank Blevins and His Tar Heel Rattlers, The Hill Billies, the Carolina Night Hawks and Grayson and Whitter. They recorded the first version of Tom Dooley, which was based on a real murder not far from here in Wilkes County. I included “Tom Dooley” on my second collection of North Carolina records, In the Pines. That CD also had “Otto Wood” by Cranford and Thompson, another true crime song based on a Wilkes County murder. Wilkes is famous around here for its long history of moonshine whiskey being one of the premier industries. I’ll brag about this briefly. On the In the Pines CD, I had one Charlie Poole track, it was on the Paramount label, and it had never been reissued on CD. It did not make it onto the Sony set. [You Ain’t Talkin’ to Me: Charlie Poole and the Roots of Country Music] It did not make it on any of the County sets. But that was perhaps the only unreissued Poole record. I went out of my way to try and find something that wasn’t available elsewhere. Were any of the musicians from the old records alive when you put the CDs out? Well, back in the 1980s, before I put out the CDs, I heard that Frank Blevins was alive down in Tennessee. I had a 78 of Frank with his band the Tar Heel Rattlers, which I really loved, so I tracked him down, went to visit him, and that sort of sparked a nearly 15-year friendship with him. Thinking about it, that’s really where I got the idea for Old Hat Records. Just interviewing him and hearing his stories about all of these musicians from Ashe County, North Carolina, that he grew up with—it was just a fascinating story. And I listened to all these records and I realized, again, most of it at the time had never been reissued, or certainly not on CD. Another musician from that era who’s still alive is Wade Mainer, who you covered in the magazine. He played with his brother in a very influential band called J.E. Mainer’s Crazy Mountaineers. I put a record from them on Good For What Ails You, the collection of songs from old medicine shows. 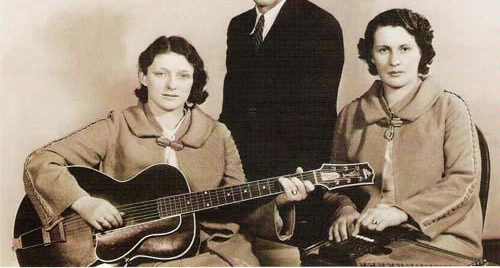 I also discovered that Helen Nance, who made recordings when she was 15-years-old in 1930 with her family, The Nance Family, was still living. I drove up to Yadkin County and visited with her a couple of times, and she was great! It was fantastic that here in 2007, I’m still finding somebody who’s alive who made these 1930 recordings. She said, “Oh, I just live a quarter-of-a-mile from the house I was born in.” And she was giving music lessons out of her house, like three or four afternoons a week, she’d have students coming in. Unfortunately she didn’t have a wealth of stories from the old days. She did give me family history and some insights, but she was flabbergasted that somebody had showed up at her door talking about records that she made nearly 80 years ago when she was a kid. I might have well have been asking her about outer space it was that strange for her. But after a while she was thinking back, and she started bringing out the scrapbooks and the photographs and stuff. I put one of her records on In the Pines. Do you have a favorite CD among your releases? Oh, gosh, that’s tough. I keep going back to the very first on, The Music from the Lost Provinces, and the reason I’m so fond of it is, I knew some of these guys. I met Frank Blevins. I met Donald Thompson, and Fred Miller before they died. I got to know these people, and that gave it such a personal connection that even now that sort of just sticks with me as an album I really loved putting together. I’m also really proud of Violin, Sing the Blues for Me and Folks, He Sure Do Pull Some Bow, which are two collections of African-American fiddlers from the ‘20s, ‘30s and ‘40s. This was a little known fiddling tradition and I’m happy I could help introduce it to a wider audience. I do like Good for What Ails You a lot, as well. Paul Oliver, the great British blues scholar wrote a book called Songsters and Saints, which I read. There were also two double LPs that went with it that were really, really inspirational to me. It was just the greatest set I’d ever heard. It had blues, gospel and all kinds of wonderful music. Oliver investigated all of these obscure little by-ways of pre-war music that nobody else was thinking about at the time. One side of one of the LPs was devoted to music of the traveling shows, including medicine shows. So that kind of was in the back of my mind, I think. But I just always sort of loved the medicine show thing, and I always loved Pink Anderson who was so strongly identified with the shows. Gus Cannon, too, was very strongly identified with the medicine shows. So it just kind of came from there, I guess. I can’t pinpoint one exact moment where I said, “I’m going to do this.” It just sort of grew out of loving the music and having that Paul Oliver set in the back of my mind. I really think that the medicine shows are sort of the missing link in American music, that they helped spread blues, string band music and other styles outside of the regions they were originally played in. And they were a great training ground for musicians. You had to be good to draw a crowd and people like Bob Wills got started in them. There’s a film about medicine shows that I would recommend from around 1982. It’s called Free Show Tonight and it was directed by Paul Waggoner and Steve Zeitlin. It was filmed here in North Carolina, not far from Raleigh, in a little town called Bailey. And in 1982 there was still enough of the original guys—the original medicine show people around that they were able to recruit them and put together an excellent idea of what medicine show was like. And the old medicine show doc that they recruited was named Fred Bloodgood, that was his real name, if you can believe it! Doc Bloodgood. And back in the ’30s when he was actually touring he said he changed his name. He said, “Nobody would believe that my name was really Fred Bloodgood.” But he was great. He could deliver these spiels that are just wildly entertaining. So that’s a really, really good movie. They even got Roy Acuff to come and be in it. You know, Acuff got his start in the medicine shows, and he flew in and made an appearance in this film, which was interesting. What do you think your next release will be? I have a few things in the works. One will be a collection of the musicians who were represented by the promoter, J.B. Long. He’s the guy that discovered Blind Boy Fuller, and Reverend Gary Davis, and various others. And it’s just an interesting sort of collection of artists that he represented, not just blues guys, but also hillbilly guys. Then there’ll be one called, Crazy Barn Dance, which is going to be a collection of records from the string bands that played on radio shows on WBT Charlotte, and WPTF Raleigh in the 1930s. There was a show every Saturday night called The Crazy Barn Dance sponsored by Crazy Water Crystals, a company that ran a huge spa in Texas and sold natural laxatives. A lot of bands that had the word “crazy” in their names, like Mainer’s Crazy Mountaineers, were sponsored by Crazy Water Crystals. But my next one is most likely going to be A Trunk Full of Blues. In 2007 I found this trunk full of blues records right here in Raleigh. It was like right under my nose all of these years, and it was just this incredible stash of records, including this Blind Blake Paramount that no collector had ever found before. There was so many great blues in that one trunk of records, and I actually was able to piece together some of the family history. It all came from this one African-American family, primarily a young woman in the 1930’s who lived near Durham, North Carolina, and was buying blues records. And they eventually ended up with her son, and he’s the guy that the trunk came from. It really gave me an insight into what sort of a hip, young, black consumer in the ’30s was buying, in terms of blues records. The Blind Blake was the big jaw-dropper, of course. There’s a Charlie Spand Paramount record, and a couple of Mississippi Sheiks Paramounts, one of which is absolutely great. One of the greatest black fiddle records I’ve ever heard. 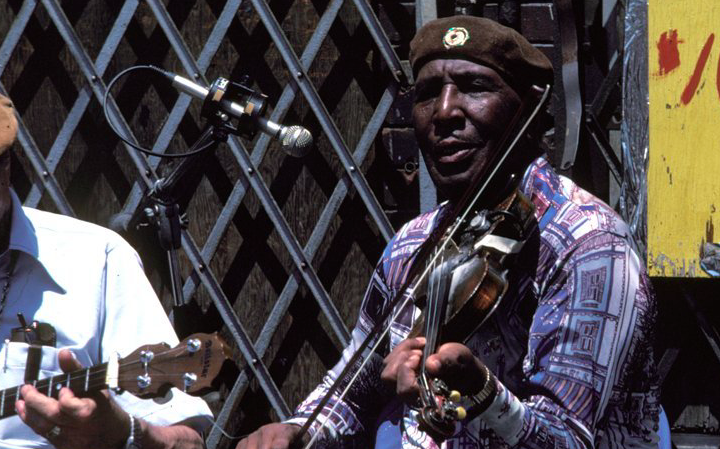 Of course, the Mississippi Sheiks are famous for “Stop and Listen Blues,” and “Sitting on Top of the World.” Those were the two big hits they made for the Okeh label. They re-cut both of those for Paramount later, and the Paramounts are better than the Okehs. They’re incredible, they’re almost four minutes long, which is very, very long for a 78, and they get extra verses in. And unlike so many Paramount records, which are poorly recorded, for whatever reason, the day the Sheiks were in there doing those recordings, everything went right. The engineer just turned all the dials right, everything—I mean, the sound is better than anything I’ve heard on any other Paramount. Most of the records in the trunk were in original sleeves, and a few of them had rubber stamps on the sleeves from the stores they were purchased from so I could even get a sense of where this young woman was shopping. One of the stores was the Durham Dollar Store, which was managed by J.B. Long, which ties us in with that other project. There was a bunch of Blind Boy Fuller stuff in the trunk. And there was a bunch of Bull City Red in there. Buddy Moss was in there. Floyd “Dipper Boy” Council. All these great Durham artists were included in the trunk, except for Gary Davis, oddly. So, obviously she was buying records by her local artists, to some extent. I have it from her son that she would go out and hear Blind Boy Fuller and that he was one of her favorites. And he also said that one of her favorite artists, not that she ever saw him, was Blind Blake. It’s an interesting mix of artists from the Durham, but also big names like Blind Blake, Tampa Red, there were several Tampa Reds in there. Guys like Joe Bussard and these people who were out canvassing and collecting records in the 1950’s, I’m sure they got tons of collections like this. You know, they would turn up all the time. But I don’t know that any of those collectors sat down and catalogued them, and tried to make some sense about, say, this body of music that came out of this one house. You know, they were just basically after the records. And I’m interested in putting the records in the context of this family, as much as I can. The details are kind of skimpy, but I’ve been able to piece together a bit of it.